As Senior Pastor, Clayton provides direction and guides the Pastoral team, staff, volunteers, church leadership and attendees by inspiring us to bring our best to God in all things. By modelling strong servant leadership, Clayton helps shape Mosaic into a healthy church community, where we are all encouraged to participate in the Great Adventure God is leading us on. Clayton’s gift for inspiring others encourages us to take radical risks of faith and grow in our trust in God. With more than 20 years of experience in ministry, Clayton is skilled at equipping others, by growing believers into disciples. He is eager to see people know Jesus Christ and grow to become fully devoted followers of Jesus. Clayton and his wife Roz have two daughters, Lauren and Jenna and a son, Ethan. 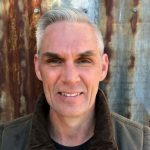 With a wealth of pastoral and missional experience spanning 25 years and four states, Rhys oversees, develops, supports and equips our missional and outreach teams with a practical hands on approach to his work. He is a creative ‘out of the box’ thinker and noted gifted communicator with a passion to see people develop a real, world-changing faith. As pastor of our 8:45 congregation, Rhys breathes passion for Jesus and supports and enables Jesus’ followers to make a positive impact in the world. Rhys and his wife Jackie are both the outdoorsy type. They enjoy riding the Harley, fishing, 4x4ing, camping and caravanning in their leisure time. Originally hailing from Wollongong, James and his family discerned God’s clear call to join the Mosaic Community on staff in July 2016.  Bearing responsibility for discipleship across the campuses of Mosaic James brings together a unique and tailored mix of qualifications in Psychology, Sociology and Theology, which combine to shape a ministry that is academically astute, spiritually insightful and understanding of the human condition. His passion and talent for preaching and teaching makes the truth about life and God within his ministry easily accessible for people living in today’s world. James loves God’s Church, that group of people who love and follow Jesus. To him they are a family for his own family. James along with Louise and their four children, Lachlan, Will, Alana and Lily call the 10.30am congregation home at Mosaic. It is there that they open their hearts to serve and to encourage others in order that they might find the abundant life that Jesus spoke of in John 10:10. Andy has been part of Mosaic since before he can remember. He loves the place so much that when an opportunity opened up in our youth ministry he became part of the team. Andy is committed to making disciples and helping people, young and old, discover more of who Jesus is. 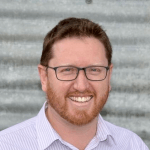 In July 2016, Andy was inducted as the Congregational Pastor for our Belconnen PM Congregation. 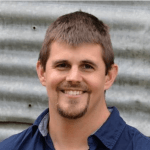 Andy enjoys spending time with his wife, Lisa and 2 kids, preaching, motor bikes and giving the other staff a hard time. As Pastor for our Gungahlin congregation, Jude loves exploring fresh ways we can connect with and enjoy God. At “The G” we aim to meet with God in ways which develop our minds, hearts, and souls, and to inspire one another to be love in action. Jude’s passion is for each person to experience and be transformed by God’s immeasurable love and to partner with Christ to be bearers of hope and grace in God’s world. An avid reader and a nature lover, Jude loves deep conversation about what soulful living looks like. With a background in Psychology and Spiritual Direction, Jude is fascinated by all aspects of spiritual formation and personality. She loves long conversations about what it means to love God and to follow Jesus. Jude is married to David, and they have 4 adult children. As Pastor for Children, Lisa is passionate about creating a community where kids and families can thrive in their growing faith in Jesus, and are loved and nurtured by the whole church. She is responsible for the leadership of our kids programs on Sunday Mornings at both Page and Gungahlin campuses and also coordinates our Busy Bees Playgroups during the week. Lisa is married to Andrew, who is the Congregational Pastor for Belconnen PM & Youth, and together they have two young children – Emily and Tim. Andrew and Lisa were born and bred in Canberra and have been a part of Mosaic since childhood. 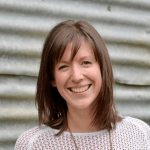 Lisa is a part time Pastor, part-time theological student at Morling College, full-time mum and full-time follower of Christ! Jenny’s heart is that each newcomer is welcomed into the Mosaic family and she is an expert at fostering people connections and teaching others to do the same. She cares deeply that individuals and families find a spiritual home where they can express worship together and mature in faith with others in community and discover the rich love that God has for them. Jenny loves to get out into nature to enjoy God’s glorious beauty. She values coming alongside people, listening to their stories and connecting over a cuppa. Jenny has a background in Pastoral Care and Spiritual Direction. She is married to Scott and together they have two adult children.  Over the past 25 years Mark has ministered in Baptist, Anglican, and Independent churches in both Canberra and Melbourne. He has been a youth values presenter, school chaplain, church minister, and has lectured in youth ministry and the New Testament. Mark oversees the creative ministry streams across the Mosaic congregations. These include music, voice, production, the visual arts, dance, drama and the creative use of space. Mark leads worship, loves playing his guitars, and enjoys songwriting and preaching. He also loves to write about the Gospels on his blog, ‘Barefoot Follower’. Mark spends his free time gardening, exercising, stargazing, and reading his Bible in his favourite cafe. He is married to Katie and they have three children, 10 chickens, two dogs, and a rabbit.